Elicina | La crema original con baba de caracol y eficacia demostrada. Ya puedes comprar de forma online con todo medio de pago. Dale a tu piel lo que merece y comprueba los resultados. 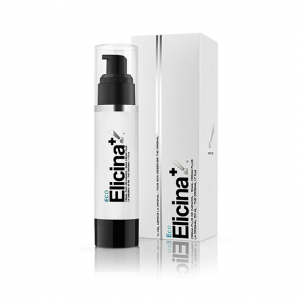 Unlike many other beauty brands in which the active ingredients are in low concentration, in Elicina, the snail secretion filtrated, which is the “active” substance that characterizes the product, is the main component of its formulation and is present in very high quantities. The beneficial effects on the skin are evident and, with continued use of the product, the skin will look more compact, soft, smooth and luminous. Visibly more beautiful. Long lasting moisturizing, healing power, calming effect, anti-wrinkle effectiveness, anti-stretchability, nutritive and regenerative power, anti-acne marks, stains and scarring.